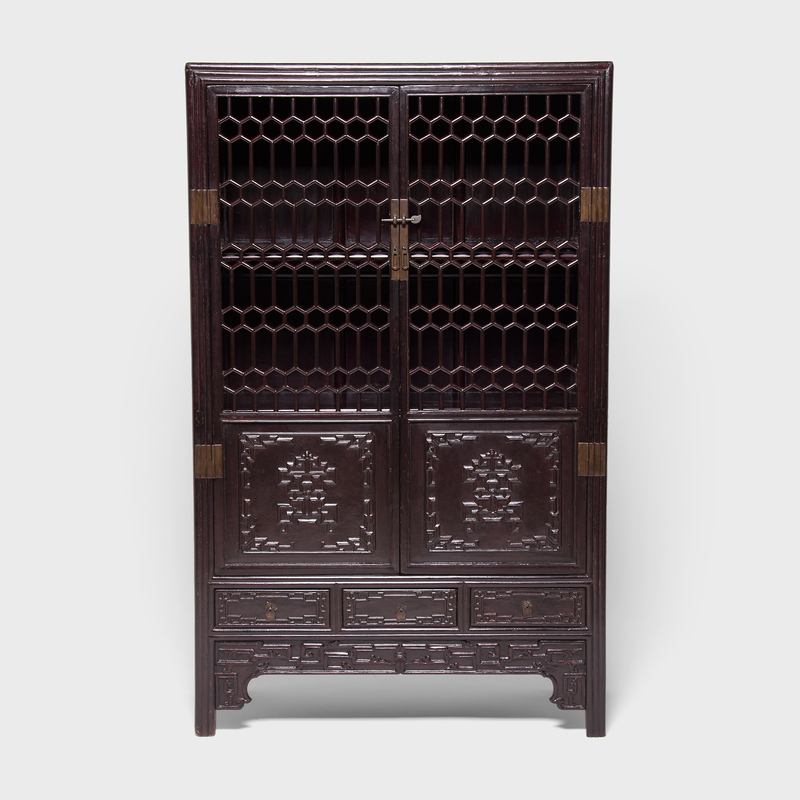 W: 44.25" D: 17.75" H: 72.0"
This beautiful early 19th-century display cabinet from China's Henan province features complex honeycomb lattice panels and doors carved with elaborate scrollwork. 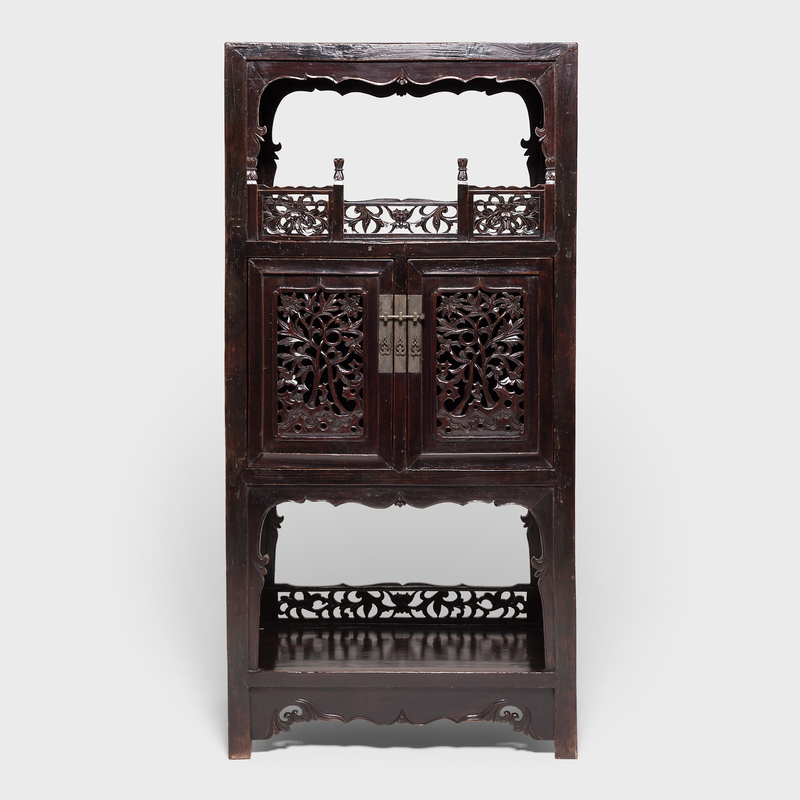 Unlike fretwork made by carving or perforating a solid panel, this lattice would have been created by linking short pieces of wood with mortise and tenon joinery. 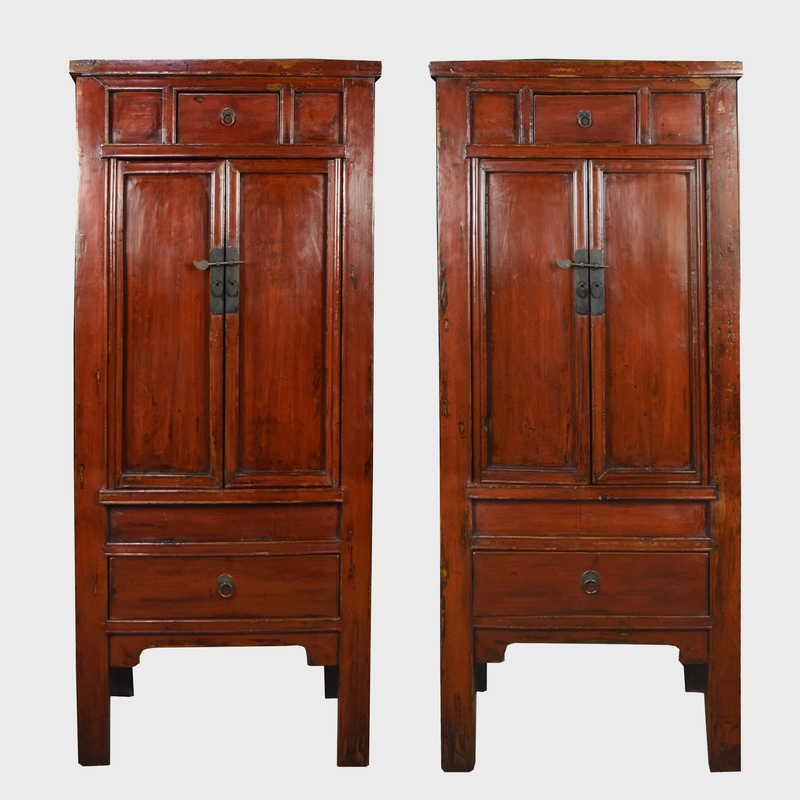 The cabinet's lower doors bear the characters for "double happiness," a blessing for marital happiness often found on furniture gifted to newly wed couples. 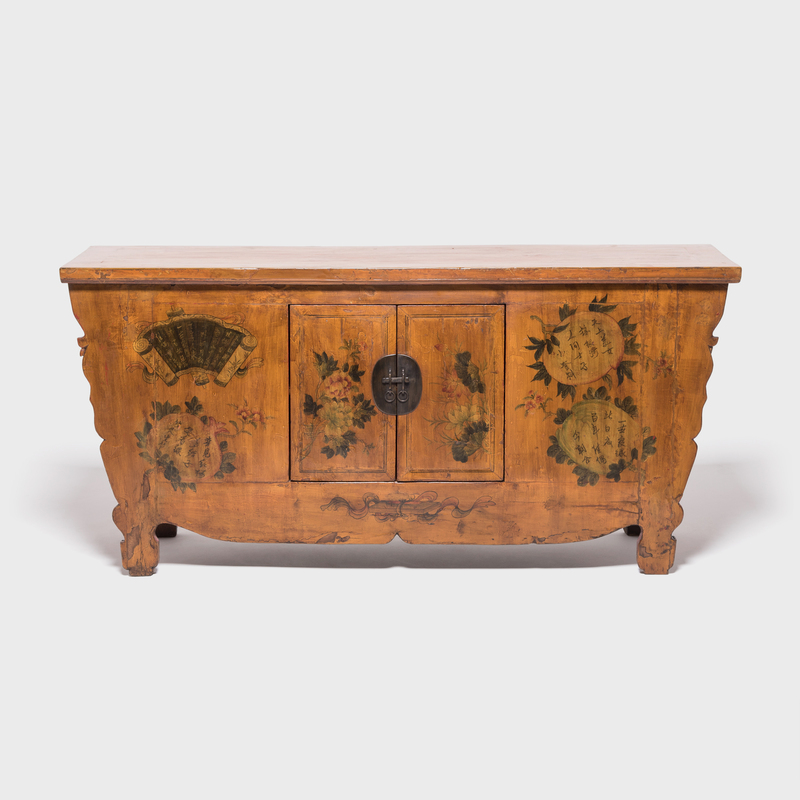 Used to display antiques and precious objects, this spectacular cabinet likely once stood as the grand centerpiece to a wealthy courtyard home.